Many businesses are still transitioning to a development operations (DevOps) style of service development injecting security into the process from the beginning will save heartache later, a security expert has advised as a new study finds most companies aren’t implementing even basic security protections within their DevOps processes. Fully 75 percent of the firms involved in CyberArk’s Global Advanced Threat Landscape Survey 2018 said they had not implemented a tool for managing privileged accounts during the DevOps process. Many of those implementing security practices had developed ad-hoc methods for security, with 37 percent adopting an open-source option and 22 percent saying they had built their own. Processes and procedures around security were equally erratic, with just 46 percent saying they integrated security teams and processes throughout the application development process. By contrast, 43 percent said security teams were always brought in at the end of each development cycle, and 10 percent said the security team is “mostly” brought in at the end of each development cycle. 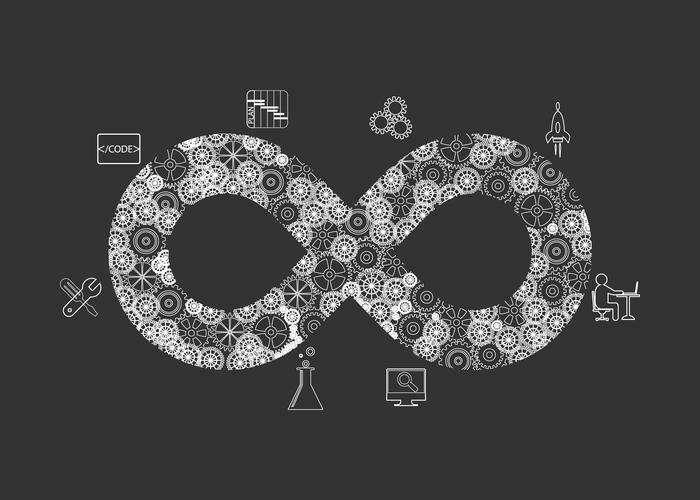 Bringing in security teams late in the development cycle exacerbates the divide between DevOps and security, ultimately compromising the shift towards SecDevOps. And this, APJ senior director of solution engineering Jeffrey Kok told CSO Australia, is one of the key areas that companies should focus on to improve – by making SecDevOps more user-friendly. The move towards better SecDevOps practices is likely to have implications not only on the security of internal software, but as a tool for demonstrating security compliance to business partners. This will become increasingly critical as organisations look to shore up the protections at third-party suppliers just as they do internally – a concern echoed within NAVEX Global’s 2017 Ethics & Compliance Third-Party Risk Management Benchmark Report, which found that cyber security was more concerning in evaluating third-party risk – named by 49 percent of respondents – than bribery and corruption (42 percent), conflicts of interest (34 percent), and fraud (31 percent). If those security holes emerge as the result of inadequate security within DevOps practices, the implications could be significant – particularly in the context of onerous new Notifiable Data Breach (NDB) and EU General Data Protection Regulation (GDPR) regulations set to come into effect next year. As well as improving the experience of interacting with security specialists, Kok recommends that companies undertake three broad measures to foster tighter integration of security discipline within DevOps. These include using ephemeral secrets so that passwords, digital certificates, personally identifiable information or business ‘secrets’ aren’t embedded within code; ensuring there are no security ‘islands’ by using too many tools or inconsistent platforms that don’t extend across the landscape; and adopting a philosophy of having security as code. A number of vendors have moved to help plug the SecDevOps gap with tools that support efforts to inculcate security into the DevOps process. Startup ShiftLeft, for one, recently debuted a tool that evaluates new code for vulnerabilities and injects tailored protection to minimise exposure. And Demisto recently partnered with tCell to link their security orchestration framework to the security of Web applications as they are developed. This approach – which emerges in the wake of recent findings that security staff were struggling to get out of ‘firefighting mode’ – provides better visibility into attacks as they happen, with the intention of allowing SecDevOps teams to more quickly identify and remediate security issues in newly developed code.